Hello everyone! 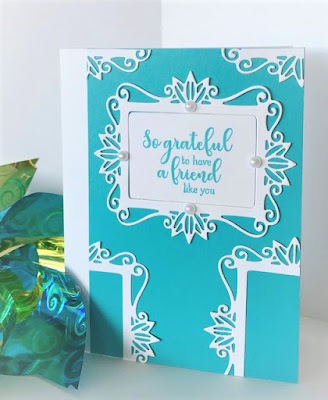 Today, I have a card for the Monthly Mix Challenge over at Stamp TV. The inspiration this month is "Kindness". I snuck a pin wheel that a dear friend gave me for my birthday a few months ago into my picture. She gave it to me so that I will always remember to have fun. Beautiful! I've never shopped at Gina K. Maybe it's time! Hugz, my friend!